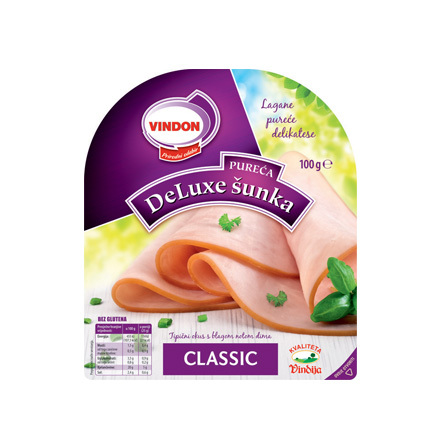 In order to suit all those who appreciate a quick and delicious meal, full of light goodness, we have produced a multitude of tasty products in the line of processed meats – finest quality turkey hams, turkey salami, delicious hot dogs, smoked products that enchant even the most demanding of palates, and patés – easy to spread, savoury delicacies. 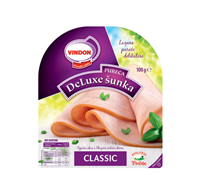 Now we offer our ham of turkey breast fillet, the top quality part of valuable turkey meat, also in a sliced variant. 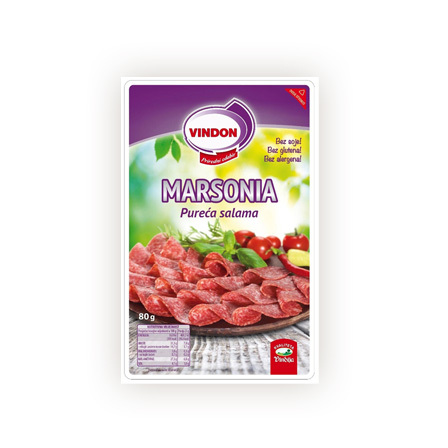 This delicious delicacy comes in an attractively designed 100-gram package that contains thin slices prepared for serving. 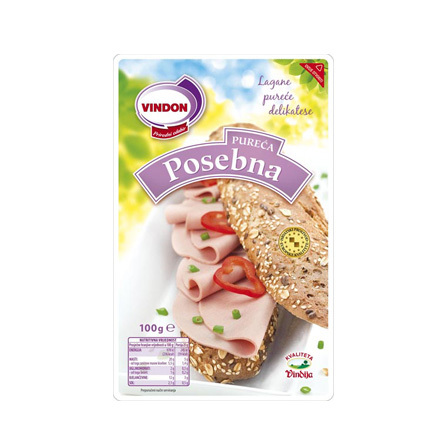 It's easy - you open the package and arrange a superior cold platter or a tasty sandwich! 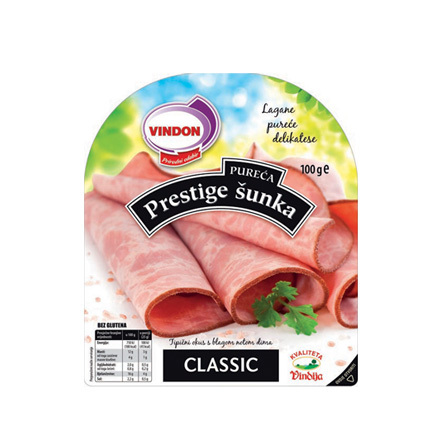 A prestigious edition of prestigious ham! Enjoying juicy ham made of fresh pieces of turkey thigh fillet is even sweeter when we know that finely cut slices are waiting for us in a luxury packaging. 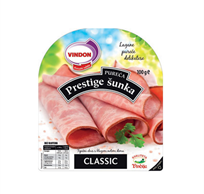 With sliced Prestige ham preparing a tasty meal is ready the second while opening of the packaging! 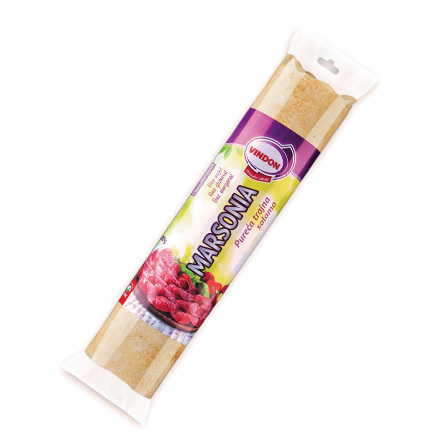 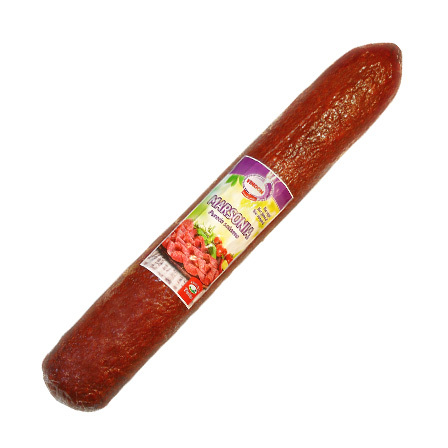 This delicious sausage enriched with a selected blend of spices is ideal for a good sandwich! 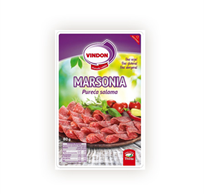 That's why we thought of you and sliced it into thin slices in order simplify the preparation of your favorite snacks as much as possible.